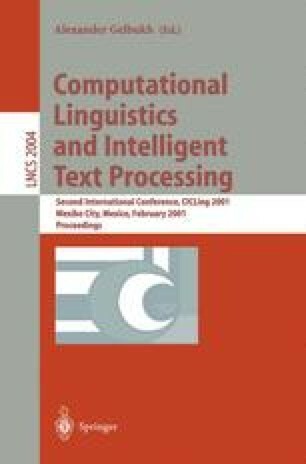 We describe an approach to interpreting noun-noun compounds within a question answering system. The system’s lexicon, based on WordNet, provides the basis for heuristics that group noun-noun compounds with seman- tically similar words. The semantic relationship between the nouns in a com- pound is determined by the choice of heuristic for the compound. We discuss procedures for selecting one heuristic in cases where several can apply to a compound, the effects of lexical ambiguity, and some initial results of our methods.